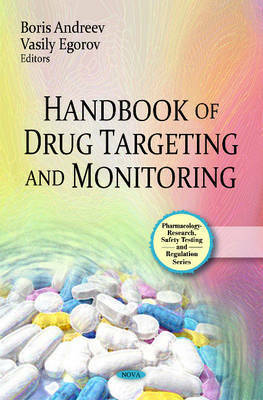 Drug monitoring in clinical chemistry refers to the measurement of drug concentration in blood serum/plasma so that an optimal concentration is obtained to benefit patients with minimal toxic adverse effects. Drug delivery systems have been developed for enhancing the pharmacokinetic profile of any given active agent, increasing the accumulation at the target site, while minimising their systemic distribution. Magnetic colloids, for example, are very promising stimuli-sensitive drug delivery systems because of their magnetic-field responsiveness. This book describes the main synthesis strategies and surface functionalisation processes of magnetic colloids, giving an overview of the recent developments in magnetic drug targeting. The possibilities of very promising strategies for controlling the biodistribution profiles of chemotherapy agents are also investigated, including passive and active targeting strategies involving the use of drug carriers. 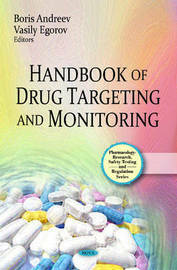 Other chapters in this book examine the application of nanotechnology in pharmacotherapy, therapeutic drug monitoring (TDM) of antiepileptic drugs (AEDS), a mathematical modelling approach to testing drug effects on Hepatitis C virus (HCV), and the recent developments in drug monitoring by high performance liquid chromatography (HPLC).